Presidents who claimed to limit government often actually did the opposite. History often looks unfavorably on presidents who may have actually contributed smart and important policies. Were Harding and Coolidge really as ineffective as their reputations maintain? Did Hoover not do enough to end the Depression? Was Reagan a true champion of small-government conservatism? We all know that the American president is one of the most powerful people in the world. But to understand the presidency today we often have to learn from the past. Author Ivan Eland offers a new perspective in Eleven Presidents on the evolution of the executive office by exploring the policies of eleven key presidents who held office over the last one hundred years: Warren G. Harding, Calvin Coolidge, Herbert Hoover, Dwight D. Eisenhower, Richard Nixon, Gerald Ford, Jimmy Carter, Ronald Reagan, George H. W. Bush, Bill Clinton, and George W. Bush. The book combines an exploration of how political currents shape historical legacies with an in-depth analysis of presidents actual policies. An important, revealing book about the presidency, legacy, and the formation of history, Eleven Presidents is essential reading for understanding the American presidency. Contrary to widespread belief, U.S. presidents who espoused limited government usually failed to constrain it. Combining a scholars concern with historical accuracy, a policy experts eye for the devil in the details, and a patriots stress on fidelity to the Constitution, Eleven Presidents, by Independent Institute Senior Fellow Ivan Eland, offers a candid reassessment of the presidential scorecard over the past 100 years, identifying the many failures of those who promised to limit government but giving due credit where presidents lived up to their rhetoric. 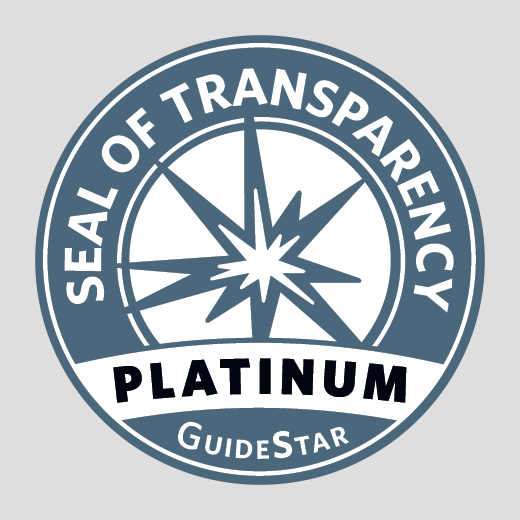 Readers who study its lessons will gain the ability to identify the vulnerabilities of limited government under the American systemand the opportunities to help achieve its realization. An unlikely Progressive president: Richard Nixon. Famous for anticommunism, Nixon supported numerous initiatives that encroached on small-government federalism. Among many other examples, these included the Environmental Protection Agency and the Occupational Safety and Health Administration (agencies he established through executive order and which violated the Constitutions separation of powers by rolling legislative, executive, and judicial functions into single agencies). Some of Nixons liberal social policies (support for affirmative action, forced busing, and Title IX equal-spending mandates) also raise constitutional concerns and likely violated prior federal civil-rights law. His economic policies, including wage-and-price controls, also departed widely from the traditional conservative playbook. Ronald Reagans championing of limited government was mostly rhetorical. Most of The Gippers major policies failed to limit the federal government. He actually increased the size of the federal government as a percentage of GDP (unlike Eisenhower and Clinton), increased nonmilitary federal employees as a percentage of the population, and presided over the largest debt accumulation as a proportion of GDP of all presidents since the end of World War II. Reagans tax cuts were the smallest cuts as a percentage of GDP among post-war Republican presidents. Surprising though it sounds, Reagans deregulation policies were outmatched by Democrats Carter and Clinton. Unrecognized wins and losses for limited government. Jimmy Carter and Bill Clinton had better policies in limiting government than their reputations as Democrats might suggest. On the other hand, George W. Bush, a big government conservative, added an entitlement program, conducted a disastrous war on terror and invasion of Iraq, and undermined civil liberties at home. During the past 100 years, many U.S. presidents have cultivated a public image of championing limited government. Few have lived up to that image. Most in the Oval Officeeven self-proclaimed conservatives whove staked their reputations on rolling back big governmenthave presided over periods of growing federal spending, debt accumulation, and government bureaucracy. Too often, however, the public has failed to notice the yawning gulf between rhetoric and reality. Common assumptions about political party affiliation have also helped mask the facts. 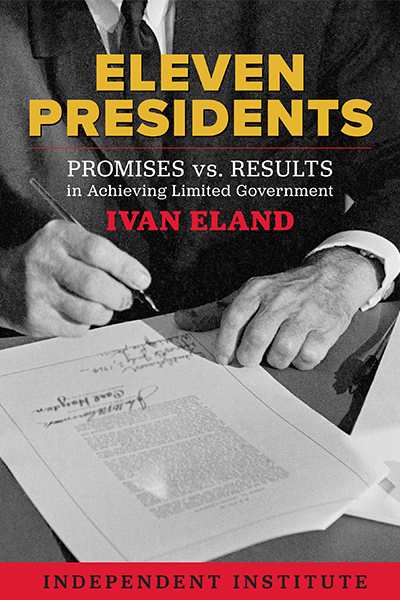 Ivan Eland (Senior Fellow, Independent Institute) reveals the breadth and depth of the broken promisesas well as some underappreciated successesin his seventh book, Eleven Presidents: Promises vs. Results in Achieving Limited Government, examining the record of American presidents, since the end of World War I, who pledged more or less to restrain or reverse the growth of federal power: Harding, Coolidge, Hoover, Eisenhower, Nixon, Ford, Carter, Reagan, Bush I, Clinton, and Bush II. Until the last decades of the 1800s, Americas elite classes viewed a large and powerful central government with suspicion. This consensus eroded during the Progressive era. Not until U.S. involvement in World War I, however, did opinion-makers throughout society grudgingly accept a greater role for the federal government in American life. Warren Harding (president from 1921 to 1923) wouldnt have any of this. Harding is mostly remembered for the Teapot Dome scandal, and Calvin Coolidge (president from 1923 to 1929) for continuing Hardings counterrevolution. Pundits have focused far too little on their policies, which says much about the lack of perspective in current standards of presidential performance. Herbert Hoover (president from 1929 to 1933) viewed himself not as an economic conservative in the Harding-Coolidge mold, but rather as a moderately progressive Republican. With the onset of the Great Depression, he initiated economic interventions that deepened and prolonged the economic downturn. Nevertheless, Hoovers foreign policy was the least interventionist of any president in the 20th century. Eschewing U.S. military involvement abroad, he brought American troops home and agreed with other major nations to limit the construction of warships. His record on political and economic liberties, however, was generally poor. Dwight Eisenhower (president from 1953 to 1961) maintained that FDRs New Dealers strayed too far from the principle of federalism, weakening the states through excessive national taxation. He pledged to hold the line against federal encroachment against the states and the lives of ordinary Americans. He also held that it was the governments role to redistribute wealth to the less fortunate. His effort to expand Social Security extended the New Deal legacy he generally criticized. Eisenhowers record on fiscal issues, however, is one of staunch conservatism. One of the top budget hawks to occupy the Oval Office, the retired five-star army general even took the axe to defense spending. Although he avoided using US combat forces, his covert scheming to overthrow of unfriendly (but freely elected) governments in the developing world sometimes had future unfortunate consequences. Richard Nixon (president from 1969 to mid-1974) pursued an activist agenda. Rather than pursuing balanced budgets, he pledged allegiance to Keynesian deficit spending. His devaluation of the dollar had less to do with earnest statesmanship than with political ambition; his wage and price controls only masked the inflationary policies he helped engineer. Nixons record on foreign policy is complicated. In 1968, he campaigned to end the Vietnam War, yet in secret he prolonged it by undermining President Johnsons negotiations with the North Vietnamese. His escalation of the conflict cost an additional 22,000 American lives and orders of magnitude more Vietnamese, Cambodian, and Laotian lives. When Gerald Ford filled the vacancy left by Nixons resignation in 1974, he did little to challenge the entrenched system of an activist federal government. His disposition, however, also meant that U.S. relations with China and the Soviet Union would continue to thaw, a break from the more confrontational anticommunism of Johnson, Kennedy, and Truman. His unconstitutional pardon of Richard Nixon besmirched his short presidency. Jimmy Carter (president from 1977 to 1980) isnt remembered for pursuing a free-market, constitutionalist agenda. Nevertheless, he set precedents in limiting government for which Ronald Reagan later received credit. Even during Carters successful campaign, the evangelical Georgian called for welfare reform, deregulation, a balanced budget, and other policies associated with conservatism. In office, Carter established two new cabinet-level federal departmentsEducation and Energybut he restrained the growth of federal spending relative to the nations economic output, deregulated four major industries, and appointed a Federal Reserve chairman who dried up inflation by tightening the monetary spigot. Carters reduction of unneeded American military action abroad resulted in one of the least interventionist foreign policies in the century. Ronald Reagan (president from 1981 to 1988) has the reputation of a conservative without peer, a view resting on several misconceptions, beginning with the notion that he won the Cold War. In reality, while Reagans military buildup and rhetoric probably did frighten the Soviets, the main cause of the USSRs collapse was Mikhail Gorbachev, who partially opened up the Soviet system and made the critical decision to not send troops to prop up Eastern European allies in mid-1989, after Reagan had left office. Reagan was famous for his small-government rhetoric, but his modest cuts in income-tax rates and his hike in defense spending led to record budget deficits and national indebtedness. Despite his campaign rhetoric of making the nations old-age pension system voluntary, he raised Social Security taxes, shoring up the faltering program for only a couple of generations. He gave up his pledge to introduce market reforms into the Medicare program and approved its expansion in 1986. George H. W. Bush (president from 1989 to 1992) may have a public image as a wimp, but such a reputation is unwarranted. The 41st U.S. president wielded military power more significantly than did Reaganto the detriment of limited government. Almost one year after he invaded Panama, he successfully helped drive out Iraq from Kuwait, but with major unintended consequences. Bush also missed a historic opportunity to deliver U.S. taxpayers a major peace dividend after Gorbachev effectively ended the Cold War in mid-1989. Instead Bush helped expand NATO into Central and Eastern Europe, setting the stage for later troubles with a resurgent Russia. Nevertheless, Bush reduced the only existential threat in American history, with his arms-control treaties with the Soviet Union. His pardons related to the Iran-Contra scandal were a stain on a presidency that badly needed to restore integrity to the executive branch and hold guilty parties to account for their misdeeds. Conservatives may be skeptical, but Bill Clinton did more to limit the federal government than have most Republican presidents. He offered a conservative agenda, although he never called it that, and on many counts he delivered the goods. During his tenure, federal spending fell as a percentage of GDP more than under any president since Truman demilitarized the economy after World War II. Although he raised taxes the increase was lower in constant dollars (and a smaller portion of GDP) than Reagans 1982 tax hike. These and related measures, together with prudent Federal Reserve policies, helped spur one of the longest periods of economic growth in U.S. history. His Reinventing Government initiative streamlined the federal bureaucracy and cut the federal workforce by 350,000the largest reduction since Truman. He ratified the North American Free Trade Agreement and scrapped Depression-era banking restrictions. He buttressed federalism by ending unfunded federal mandates on the states. Despite his numerous military interventions overseas, Clinton managed to avoid embroiling U.S. forces in a large foreign quagmire on the ground. The same cannot be said of George W. Bush, who landed the United States in exhausting and costly sinkholes in Afghanistan and Iraq, despite having criticized Clintons nation-building adventures in his first run for the presidency. The Iraq war, one of the worst policy mistakes in U.S. history, helped to break Bushs campaign promise of a humbler foreign policy. Ill-advised on its own meritsit diverted focus away from al-Qaeda and its allies, and ended up inspiring more anti-U.S. terrorism from new enemiesthe war also eroded the political capital that Bush had hoped to spend on reforming immigration, Social Security, and the tax code. The broadly waged (and misnamed) War on Terror also shrank civil liberties at home through new surveillance programs, indefinite detention of suspected terrorists without a trial, and CIA secret prisons and torture around the world. Thus, Bush hardly fulfilled his promises to limit government, Eland concludes. "The book Eleven Presidents: Promises vs. Results in Achieving Limited Government analyzes presidents who claimed to want smaller government-and the results. . . . Although there have been more than 11 presidents over the past 100 years, Eland limits his study to 'only certain chief executives who served during the last hundred years-the age of big government, which began with World War I and has lasted to the present-who promised to constrain government.' . . . He concludes that 'Republican presidents in the last hundred years have often failed to limit government.' Only three Republican presidents-Harding, Coolidge, and Eisenhower-'had much of a record of doing so.' . . . I cannot recommend Eleven Presidents highly enough. There is nothing else like it. May it ever serve to demolish the myth that the Republican Party is the party of the Constitution and limited government." "Republicans claim to be the party of the Constitution. They have since the early 20th century cultivated the image that they and their presidents are in favor of limited government while the Democrats and their presidents are in favor of big government. Ivan Eland, senior fellow and director of the Center on Peace & Liberty at the Independent Institute, in his new book Eleven Presidents: Promises vs. Results in Achieving Limited Government, shows, conclusively, that this is not the case. Eland concludes that 'Republican presidents in the last hundred years have often failed to limit government.' Only three Republican presidentsHarding, Coolidge, and Eisenhower'had much of a record of doing so.' And surprisingly, the Democrats Jimmy Carter and Bill Clinton 'actually have not received enough credit for their efforts to limit government.' . . . I cannot recommend the book highly enough. Not only does it demolish the myth that the Republican Party is the party of the Constitution and limited government."